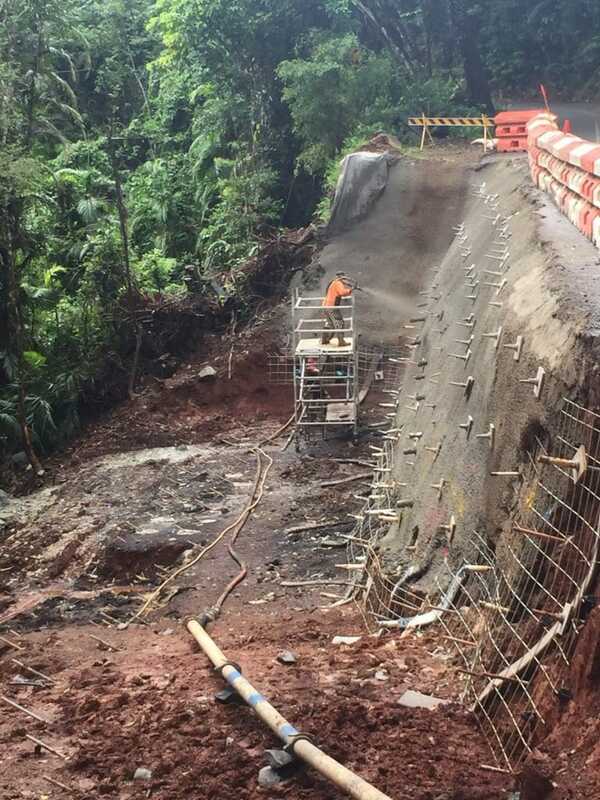 After wet weather delays, the third and final concrete wall was sprayed on the Alexandra Range yesterday to stabilise the existing road lane. This concluded the first stage of repairs, which saw large soil nails drilled into the hard rock underneath. Stage two will start later this week when the contractors start building the foundations for a second traffic lane. Workers will build a rock-filled, wire basket wall that is 30 metres long and five metres high. This work is expected to take approximately eight (8) weeks to complete. 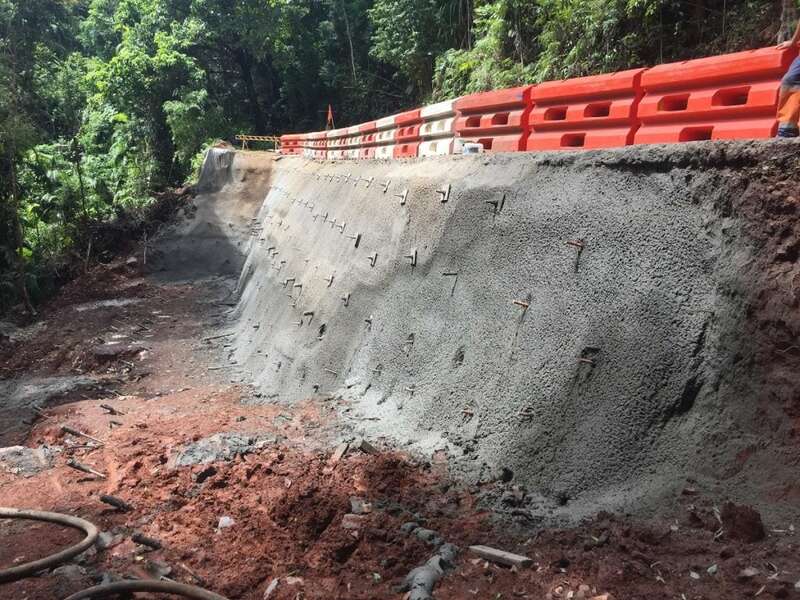 Council, consultants and contractors have been working hard to repair the road, however the poor soil conditions have hampered progress and significantly increased the scope of work beyond what was initially expected. Council asks for patience during roadworks and apologies for the inconvenience.